I am a Mind-Body Wellness Practitioner, Clinical Hypnotherapist, Life Coach, Educator and Catalyst for change for clients. My passion is integrating the Healing Arts in individual and group sessions to facilitate powerful, transformational shifts. Early in my 30-year nursing career, I realized there was a limited understanding of Holistic Mind-Body medicine, an essential component to individual well-being and healing. That realization drove me to learn more about the mind-body connection and study under renowned holistic practitioners such as Dr. Deepak Chopra, Dr. Darren Weissman and with visionaries like Denise Linn and Vianna Stibel. I discovered that many people have deeply held limiting beliefs and behaviors that blocks them from reaching their potential. I learned to unlock these negative patterns using effective subconscious mind methods such as hypnosis, ThetaHealing® and LifeLineTechnique® while infusing Soul Coaching. Gretchen is the co-creator of “Lighten Up and Thrive.” She specializes in Medical Hypnotherapy, Stress and Weight Management while uniquely incorporating other energy and healing modalities along with aromatherapy. She is privileged to have studied with Dr. Deepak Chopra, Dr. Darren Weissman, and Denise Linn. 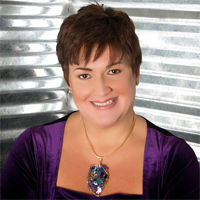 Gretchen is a Reiki Master, certified LifeLine Technique® and ThetaHealing® Practitioner, as well as an International Soul Coach. She lives in the Scottsdale, Arizona area with her husband Lyle and is the proud mother of three amazing adult children. Jerri Eddington is the Co-Creator of “Lighten Up and Thrive.” Jerri’s trainings include becoming a Certified LifeLine Technique® practitioner trained by Dr. Darren Weissman, a Certified ThetaHealing® practitioner certified with Vianna Stibel and a Certified Soul Coach with Denise Linn. 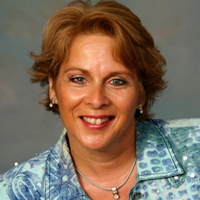 In addition to her energy/healing modalities, Jerri has over thirty-five years experience as an educator and coach. She lives with her husband Bob in the Phoenix, Arizona area and enjoys a deep connection with her adult sons, Marcus and Jeremy.